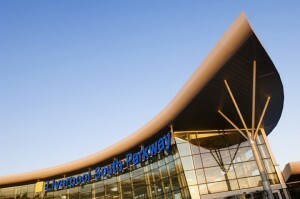 Liverpool South Parkway is a transport interchange commissioned by Network Rail and Mersey Travel, to link local and inter-city trains and buses, via a short-ride shuttle bus, to nearby Liverpool Airport. 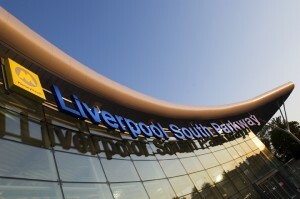 The building straddles the main Liverpool to London/ Manchester main lines and a local trains' main line, and links to a new bus station and car parking. The build is a Constructing Excellence Demonstration project. 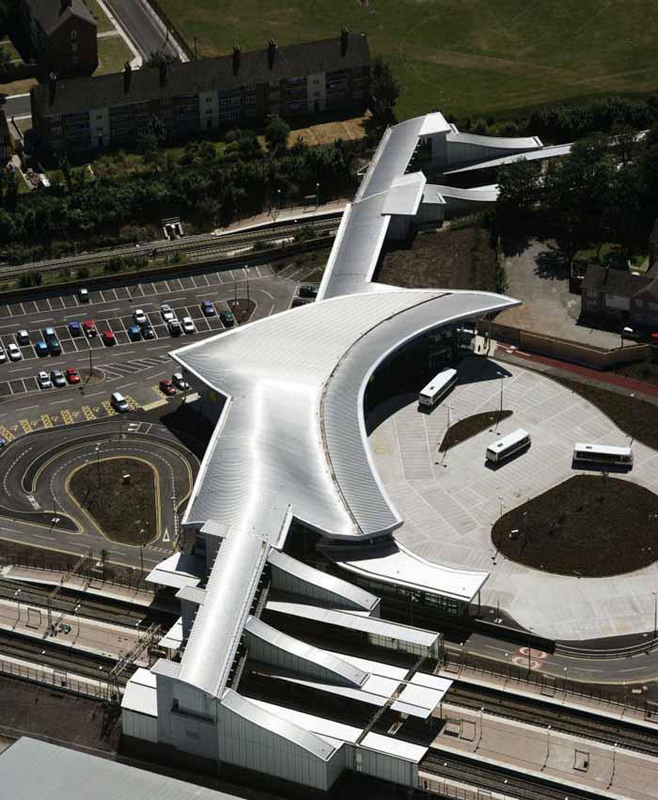 As project architect for Jefferson Sheard Architects, I developed the design concept for the transport interchange from a series of separate elements, into a design with an all-encompassing roof. 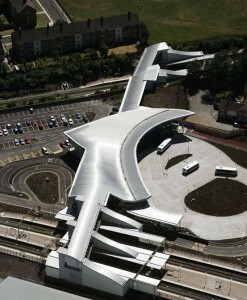 My subsequent role as project architect led the multi-disciplinary team producing the detailed design. I was also the site architect during the build. Liverpool South Parkway is a demonstration project for many renewable-energy features, such as ground-source heat recovery, rainwater harvesting, PV panels, low-energy lighting, passive solar gain & heat storage and natural stack ventilation. 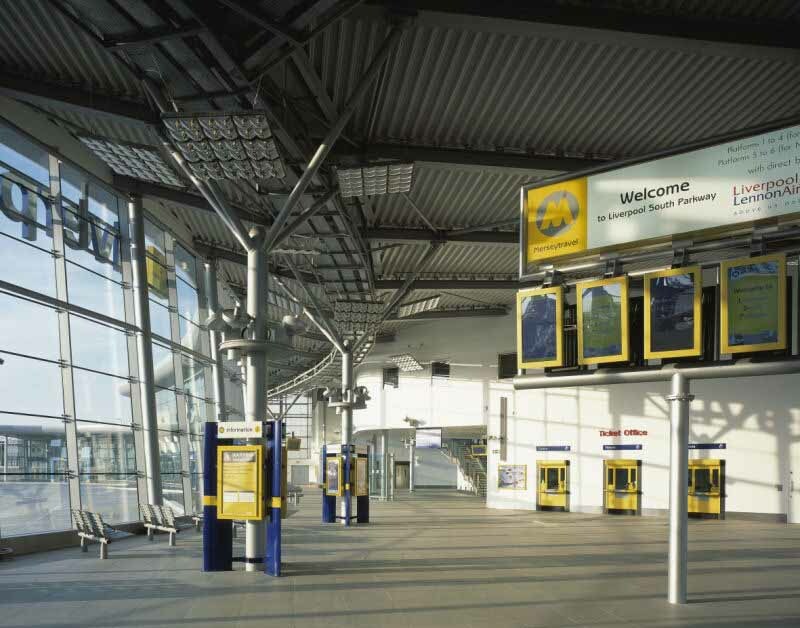 The building's public areas' air temperature is regulated at comfortable levels by purely passive means and requires no mechnical ventilation. 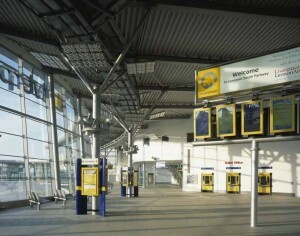 Detailed design and specification reduces public 'wear and tear' damage to the fabric and life-cycle costs.